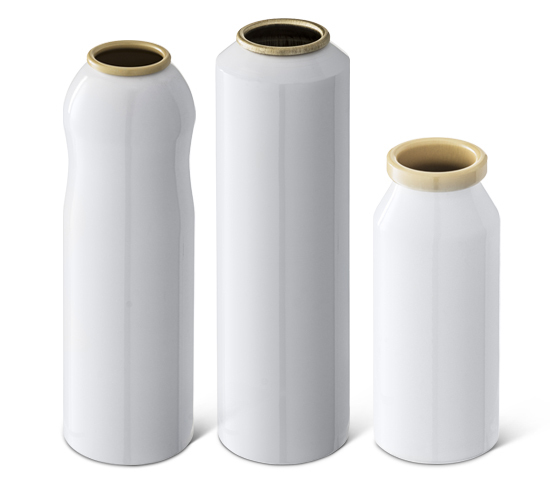 Aluminum aerosol cans are solid containers that accommodate liquid products in gaseous solutions, giving products barrier to light, moisture and oxygen (airless packaging). It is a structure that provides the expulsion of gaseous solutions with different forms of dispersions, according to the different possibilities of valves available in the market. They are decorated in offset printers, with different possibilities of finishes, such as glossy, frosted, pearly, metallized, and admit deformations on their surface, shapes. Because it is a monobloc and single-material package, aluminum aerosol cans are infinitely recyclable.